Some of the fondest memories many adults have of their time in elementary and middle school include daily romps during recess. This time allows students to get outside and have fun. But is that all your kids are doing: enjoying some sunshine and playing games? New research programs are working to understand how changing recess habits helps kids focus in class. Seven schools are taking part in the Liink Project, an educational study on the effects of recess. Students attending the participating schools enjoy longer recess times. They are more physically active, and students in kindergarten through 6th grade also have specified class time for creativity and play. In lieu of grading these kids every quarter, Liink participants assess students through developmental tracking. The creators of the Liink Project hope the outcome of the initiative leads to better health in the form of fewer overweight kids and instances of Type ll diabetes, as well as students having more energy. The governing team, made up of doctors, statisticians and researchers, predicts that less time in the classroom will not reduce student learning. Instead, following the same rigorous content with fewer standardized tests and assessments should reduce anxiety and instill confidence in students. In a paper published by the Liink Project, Dr. Debbie Rhea and Irene Nigaglioni shared how playing outdoors fosters learning. Studies have found that exercise is linked to kids better handling stress, increasing their attention spans and reducing chronic diseases. Students' academic achievement improved after increased time in physical education courses. Kids' attention spans, concentration and overall in-class behavior was better after they spent time in recess. 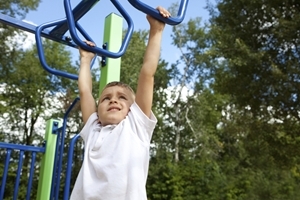 Recess also enhanced students' cognitive skills and attitudes. Classes that participated in physical activity breaks aside from recess and physical education courses saw improvements in standardized test scores, moods, attention, memory and aptitude. It's also important to note that of those studies and assorted research projects, no negative effects were associated with additional time spent on partaking in physical activity and play. Some schools across the country choose to limit recess time and omit physical education courses from mandatory class attendance in favor of spending more time readying for standardized testing or regular schoolwork. 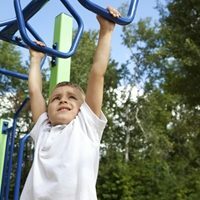 Studies like those the CDC aggregated have shown exercise is helpful, and recess should be an integral part of a child's school day. Make sure your kids use their full brain power and study for those exams by participating in physical education classes and being active during recess. You can also promote play at home as a helpful homework break. What should your child consider when choosing a college?